You found your way to book arts through photography, slowly morphing static framed imagery into 3-dimensional objects. 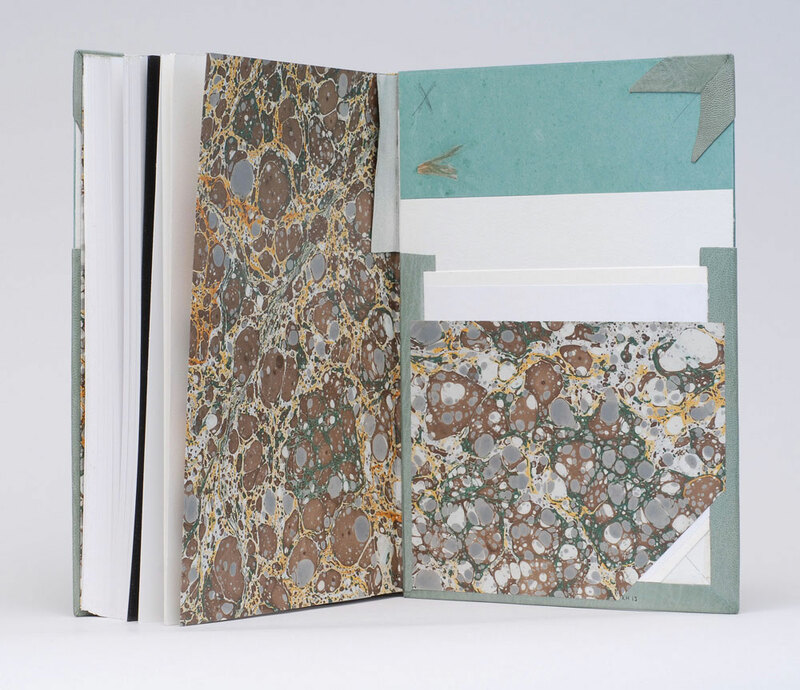 I see your approach to book arts as being rooted in bookbinding. 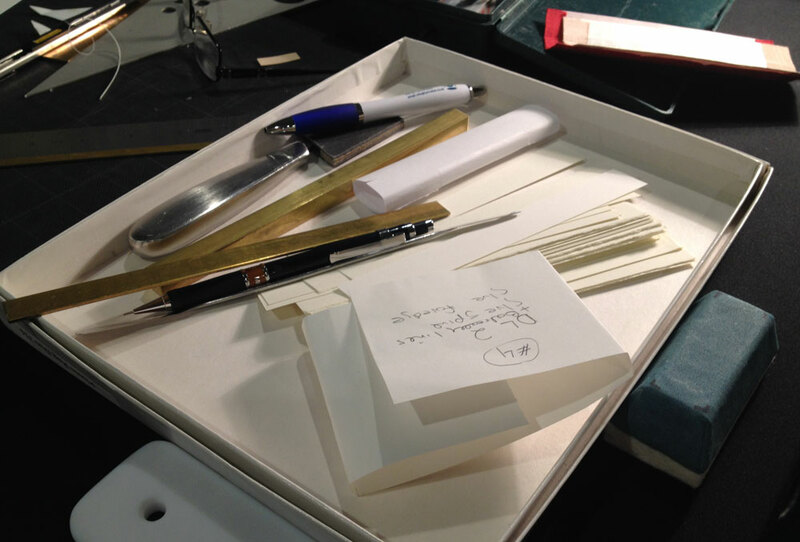 As Pamela Train Leutz put it, you’ve begun ‘melding book arts with bookbinding’. Is there a division in your work between book arts and bookbinding or do you allow these two mediums to inspire each other? I see both artists’ books and design binding as options for working with ideas I’m interested in. Artists’ books allow me to create my own content. A design binding on an existing text gives me an opportunity to create a work with content I’m not yet sure how to approach. This has allowed me to keep working with topics like the Cold War, sacred texts, and Jackie Kennedy. I might do a design binding on a book that I read while researching for an artists’ book project. Conversely, when I was reading a lot of Poe to prepare for a design binding of The Raven and Berenice, I began thinking about how many of Poe’s stories are mirrored in current events. That revelation was the genesis of my editioned artists’ book Nevermore Again. For the past several years I’ve been very interested in the engineering aspects of binding and am working hard to refine those skills. My artists’ books have become a lot more codex-ey in structure. I can imagine my two worlds coming together in the future. You’ve studied with several bookbinders from Scott Kellar to Monique Lallier to Priscilla Spitler. Beside the fact that these are all uniquely talented binders, can you talk about the array of skills and techniques you acquired from each instructor? How did you choose these specific binders to study with? I’ve always been very fortunate to have high quality binding instruction available locally. 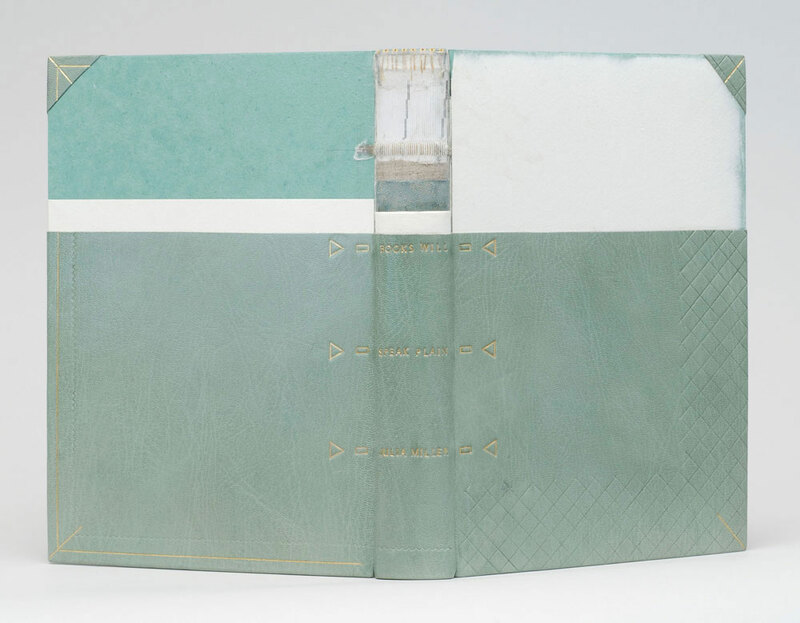 I began with a weekly open studio/binding class with Scott Kellar in Chicago. The students work on their own projects while Scott circulates about the room. Instruction in several short bursts over a three-hour session is a challenging way to acquire foundation skills. A week-long fine binding intensive with Priscilla Spitler gave me the time and concentration to make progress in many problem areas, while introducing me to more elaborate forwarding, including board shaping, leather hinges, and the flexi-endsheet. Priscilla continues to mentor and encourage me and has become a close friend. I still study with Scott, and after all these years we still have plenty to talk about, perhaps a problem that came up during the week or a question about an unfamiliar structure, technique or material. 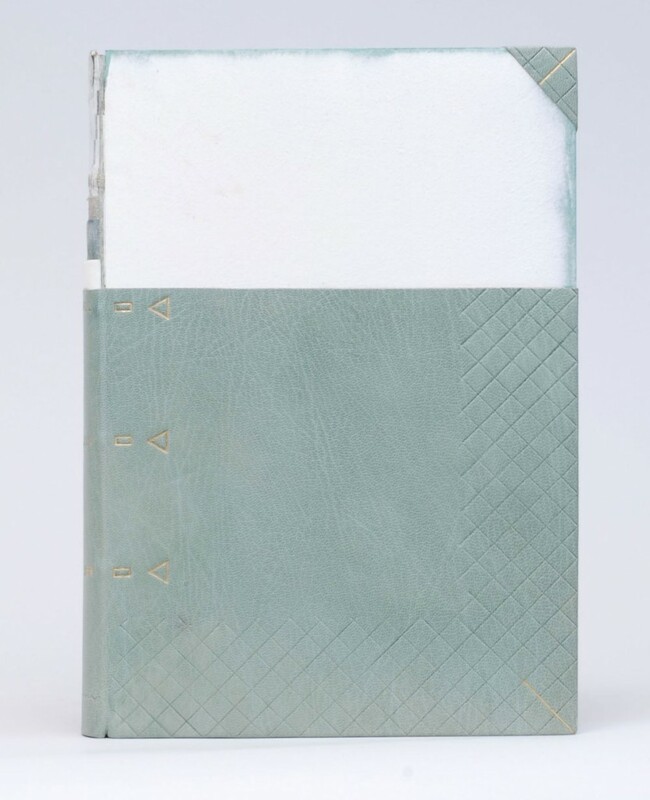 Eventually I was interested enough in fine binding to make the financial and time commitment to take a series of two-week classes with Monique Lallier through the American Academy of Bookbinding. Monique introduced me to fancier features like edge-to edge leather doublures, suede and leather flyleaves, and more elaborate headbands and edge decoration. The length of the sessions allowed for time to explain systematic methods for foundation skills like rounding, backing, paring and forming headcaps. The multiple bindings completed each session provided an opportunity to make mistakes, then immediately redo the procedure correctly under supervision, rather than struggling to remember months later at home. I’ve also taken several one- and two-week classes with Don Etherington. I’d gotten to the point that I felt I could not progress further without a better understanding of the engineering aspects of binding, and Don was the perfect instructor for that. He not only explained what to do, but more importantly why it should be done that way. There is an impressive and long list of institutions that house your work in their collections. Can you offer up any secrets to successfully landing your work in collections, whether they be public or private? I still send printed fliers announcing my new editioned work once a year to collections, arts educators and colleagues. A few weeks later I send a follow-up email to the collections only. I supplement this throughout the year with postings to the Book_Arts-L when I’ve completed a new piece. These efforts are complemented by a few artists’ book dealers, who make sales trips around the country to show the work in person. I keep my website up to date and have all the information there that is necessary for a collector to make a decision and place an order: at least one good photo and full description of each piece, the price, and how to contact me by email, phone and post. A separate price list page is a useful reference and also serves as an index to the site. I include links to my new work and to my website in my email signature. I’ve been posting new work to Facebook. That has not lead to many sales, but it is quick and easy to do, and the “likes” are affirming. Because of the expense of the physical mailing, I’m experimenting with announcing new work by email only, though I still believe in the power of putting something physical in the potential buyer’s hands. Some years it has taken a while to sell enough work to recover the cost of the mailing. Book fairs and in-person sales calls are opportunities to show collectors the actual work, but are also expensive endeavors. I have not found exhibiting an effective way to sell my work, unless I can identify someone to follow up with in some way, for example if the venue is a university library with a book arts or printing collection, such as a university library. It is difficult to reach individual collectors, but many of my colleagues have been very generous, purchasing for themselves, or urging their institution to make purchases. Not only do you create wonderful design bindings and intriguing artist books, but you teach as well. Your workshops cover a wide range of historical models, decorative techniques and book arts. How did you get into teaching? What aspects of teaching do you find rewarding? My first teaching experiences were lectures to college classes of photographer friends – I was usually the only book artist they had ever met, and they wanted their students exposed to alternative ways to present photographs. After the publication of my article on Flag Books in The Bonefolder, I began to get opportunities to teach workshops in other cities. After several years of teaching this Hedi Kyle structure, I was glad to receive offers to teach other structures or propose what I wanted to teach. This has been a great opportunity to look more deeply into aspects of the book that I am interested in. Questions from students and explanations to support every demo have made me look very closely at what I am doing and why I am doing it in that way. This has all made me a much better binder. I’m starting to have repeat students in workshops, and I have done semester-long independent study courses with students at Columbia College Chicago. These more long-term, mentoring relationships have been very satisfying. The amount of work you produce each year is impressive in addition to the workshops and lectures your offer. Have you always been good with managing time or is it something you’ve acquired over the years? I grew up in a home kept obsessively clean, where the dinner menu was planned out a month in advance. Things aren’t quite like this at my house now, but I did grow up valuing organization and attention to detail. I worked for fourteen years as the lone support person for a small marketing research, which taught me to juggle a number of duties at one time, never to drop the ball completely on the less important tasks, and do whatever I can to make it a pleasure to do business with me. I do find myself a little too driven by teaching and exhibition opportunities rather than setting goals for what I want to accomplish. If I’m teaching a lot one year, I probably won’t be able to develop a really substantial artists’ book. But I’ll probably be able to work on some bindings off and on while I’m home and think about the designs while I travel. The balance is not achieved day to day, but over the long term. 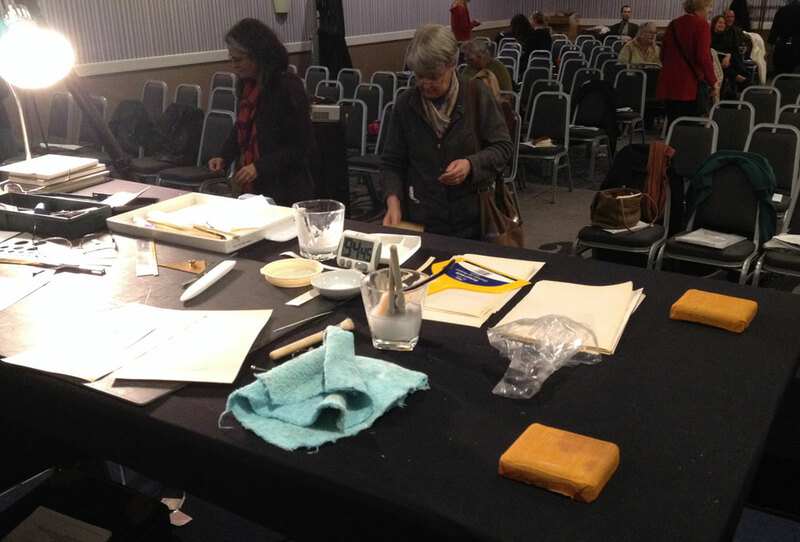 Speaking of teaching, you presented on variations of the sewn board and drum leaf binding at the most recent Standards of Excellence Conference in DC (2013). Can you talk about this experience of presenting in front of your peers? How did you prepare? I noticed each example had a paper wrapper with notes and a number. I am quite evangelistic about the Drum Leaf and Sewn Boards structures. They are quick to make and require minimal equipment. By altering the materials used, they can be quite elegant, yet they are also rugged and utilitarian. They are also pretty fool-proof for beginners to make. The topic was very familiar, as I’d taught both of these structures in workshops numerous times. But giving a three-hour demonstration in front of such a large group of highly-skilled practitioners was unlike anything I’ve done before. I needed my session to be good, and I also needed to minimize my anxiety leading up to it, so I began preparing very early. In April I borrowed a friend’s class at Columbia College and did a demo to see what would require more or less explanation; it also clarified what I needed to do in front of the audience and what I could prepare at home. I wanted my knowledge of the subject to be broader than just the methods I use, so I put out a call on the Book_Arts-L for examples, and gave myself a budget to acquire those I admired or could learn from. 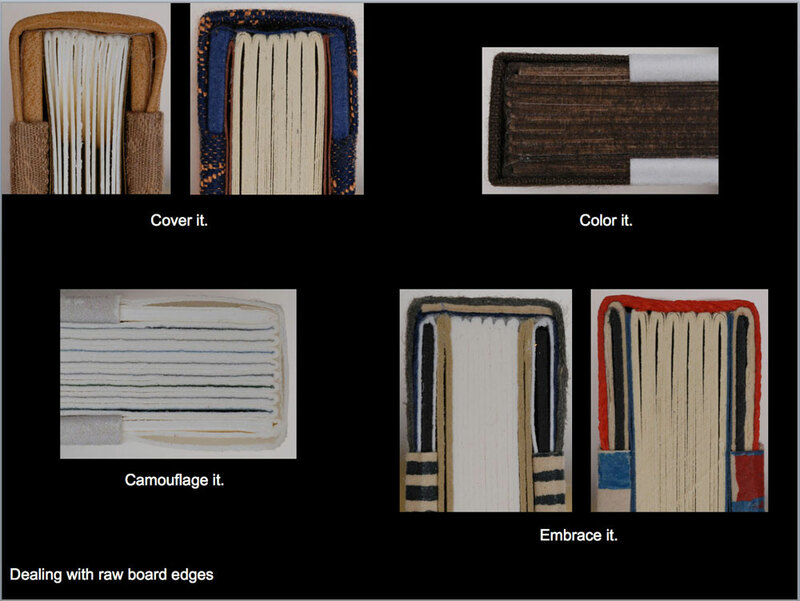 I gathered articles on both structures, and traveled to the University of Iowa Libraries Bookbinding Models Collection to study Gary Frost’s sewn boards experiments and examples of historical antecedents. Many colleagues also shared their instructions with me. I made a spreadsheet listing all the variations for board attachment, endsheets, how the boards were covered, spine lining material, what was drummed and what was adhered fully, and all the other options I could see. Then I made about 30 models based on these possibilities. I narrowed this down to a reasonable number of variations for a brief PowerPoint lecture, and then chose five books to make in the presentation. To get my timing right, about three weeks before Standards I did a complete dress rehearsal with a group of local book arts friends, even including the 30 minute break with cookies. I’m pleased that it was spot on in both the rehearsal and at Standards. I also completely rewrote my instructions for the two structures into one new document, incorporating several improvements I’d learned over the course of my research. Slide from Karen’s powerpoint presentation. Karen’s point of view from the presentation table to the audience. Wrapper from Karen’s kit made in preparation for the presentation. You mentioned the little kits I made for myself containing all the materials I used in the demo. I did not want to waste a second of the audience’s time hunting for supplies, or doing very basic tasks I could prepare beforehand. I partially forwarded a number of text blocks and rough-cut all the materials for the nine books I worked on. Each of the kits had a paper band around it with notations reminding me what I had intended to do with that set of materials. Do you have any suggestions or advice to offer future presenters? My advice to future presenters is to be well-prepared and to present on a topic you are well-informed and passionate about. Remember that you have many friends in the audience, they are there by choice, and they want to see you succeed. You are incredibly involved in several professional organizations from the Guild of Book Workers (both nationally and locally) to Canadian Bookbinders & Book Artists Guild to Hand Bookbinders of California. How do you benefit from these memberships and how has your involvement impacted your business? The main reason I become involved with organizations is for community with like-minded people. Most of my close friends are people I met through the Guild of Book Workers. Some of these friends work for institutions and are able to advocate for purchase of my work, or bring me there to teach a workshop. Through GBW I know people skilled in every aspect of the book arts, and often I’ll draw on these resources for support with questions or problems. My service as GBW Exhibitions Chair put me in touch with special collections buyers, and I’ve maintained contact with many of the fifty exhibitors. 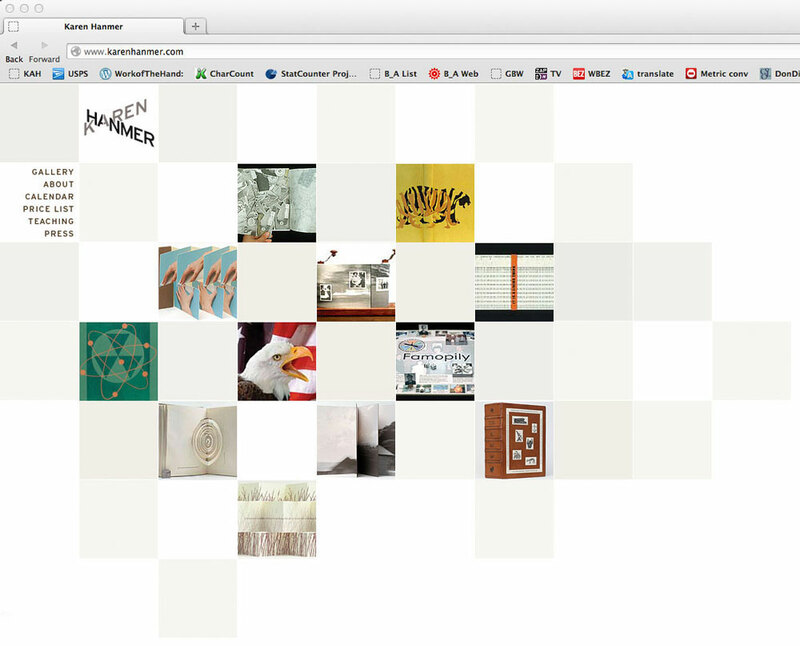 Four years of incessant postings on various listservs to promote the exhibition probably increased my name recognition. I find opportunities to exhibit design bindings are not nearly as plentiful as those for artists’ books. 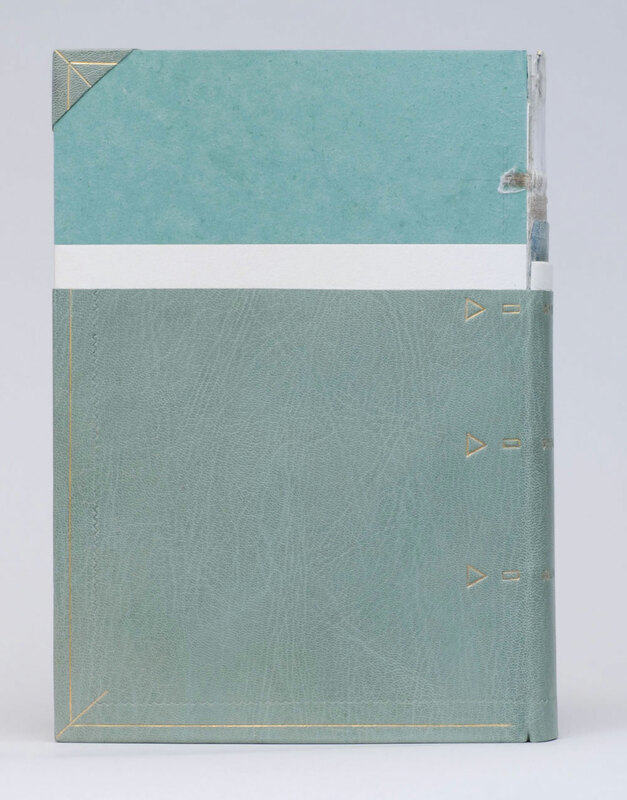 I value my Hand Bookbinders of California membership that allows me to submit two bindings each year for their annual traveling exhibition, and I am honored to show my work alongside these accomplished colleagues. The association I’m proudest of is my six years on the editorial board of The Bonefolder, the online book arts journal. The articles covered all aspects of the book arts, and our philosophy was very democratic: our authors included established practitioners, scholars, and people just beginning their careers, and gave voice to many talented, lesser-known artists and binders. I’ve remained in contact with a number of our authors. The homepage of Karen’s website. I was very inspired by your website while building my own. I look at it from time to time getting new ideas on how to promote myself. What areas of your website do you find promote your work the most? I made the financial commitment to have my website professionally designed. I keep the calendar section up-to-date and add newly completed work promptly. The challenge is to get people to the site and to look at the work that is not new. Every few years I’ll change organization of the galleries, or add a new gallery in place of one that is not getting much activity. For example, I got rid of Postcards and a gallery devoted mostly to work created for an exhibit in 2002, and added Sculptural/Movable and Photo-based. I did not always have a separate gallery for design binding because it was a small part of my practice when the website was designed. I recently added the Archive gallery for older work, so there are fewer items to look at in each gallery, making it easier for people to view. The Thrifty Picks gallery has been very successful in directing individuals and collections with limited budgets to work priced at or below $100. The Teaching page has been very helpful in letting venues know what I am able to do for them before the first contact. What an inspiring and informative interview – thank you both! Great interview of a fabulous book artist- thanks for the scope and detail! Wonderful, thank you! Always a pleasure to read Karen’s insights. 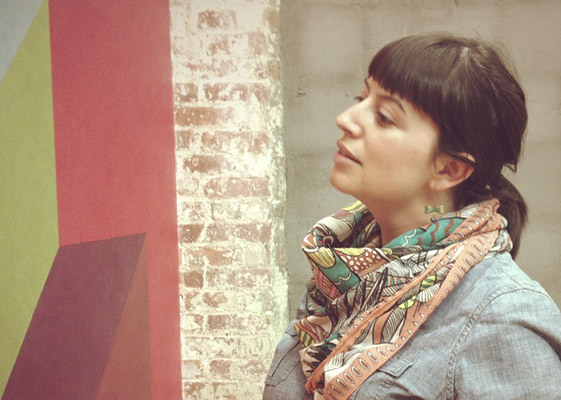 Karen is equally well organized and generous with her expertise in workshops! Thanks for sharing Karen with us through your blog interview. She’s every bit as great in person as she is in print, as you know! I agree with Julie & other commenters. I met Karen as we waited for the train at Union Station, after the Standards seminar. Our conversation was an unexpected bonus to a wonderful weekend. She goes out of her way to encourage others. Just wanted to add my “ditto!” to the previous comments – had the pleasure of meeting Karen at MCBA this year. Thank you for this informative interview. And thanks Karen, for all you do!